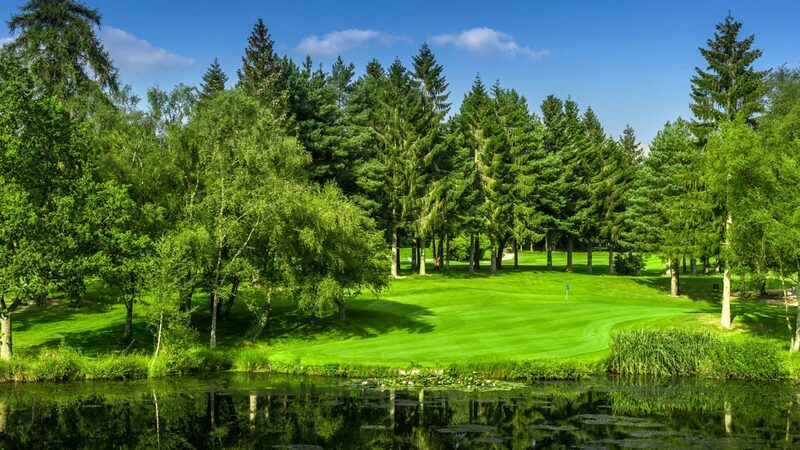 The beautiful Cottesmore Estate is home to Cottesmore Golf and Country Club, one of West Sussex’s premier Golf and Country Clubs. Our 18 hole Griffin Course and 9 hole Phoenix Course are located within the most idyllic setting. Set in classic parkland amongst beautiful vistas, mature trees and several water holes. The Griffin course is a Par 72 with 6,484 yards of natural sloping contours. Equally our 9 hole Phoenix course is a perfectly maintained Par 33 course expanding over 2,240 yards. We also have a practise area, putting green and our latest addition is a state of the art Swing studio. For larger golf days we can offer a live scoring system and leader board that makes your society golf day competitive and fantastic fun. We can offer 21 hotel rooms set in our farmhouse picturesque courtyard, a health club spa and beauty salon. Our clubhouse Gatwick bar overlooks the 18th hole offering home cooked delicious food to tempt you. Cottesmore is a family owned business that welcomes all visitors looking for an enjoyable day out. We pride ourselves on offering excellent service and exceptional quality. Whether you choose from one of our packages or prefer a tailor-made experience we can cater for all your needs. 18, 27 and 36 hole packages available. Summer package prices start from just £29 including coffee, bacon roll and 18 holes. Winter packages start from just £24 including coffee, bacon roll and 18 holes. Various packages available please contact us for further info. Set between Horsham and Crawley in West Sussex. Only a 5 minute drive from the Pease Pottage exit of the M23 and 15 minute drive from Junction 7 on the M25. Three Bridges train station and Gatwick airport are just a short taxi ride away. Book online at www.cottesmoregolf.co.uk or call our friendly pro shop team on 01293 861777. We have 21 hotel rooms available and 7 luxury self-catering lodges. Club house with restaurant and bar, meeting rooms, pro shop, swing studio, health club with pool and spa, beauty salon, free wifi, large car park, changing rooms and lockers, putting green and practise area, club hire.